Monogram Design Centre and Sarah Richardson, star of various HGTV television shows, recently partnered together to create a new collection of kitchen designs! 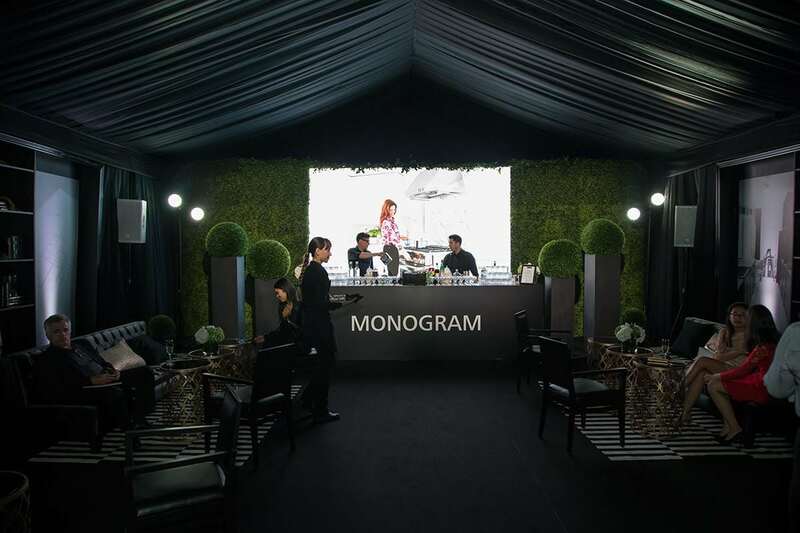 Their event planner, Nest Living Designs, reached out to Regal Tent Productions to help create the perfect space for the launch of their new collaboration, but wanted a unique and dramatic tent for the festivities – enter one of our fabulous black tents! 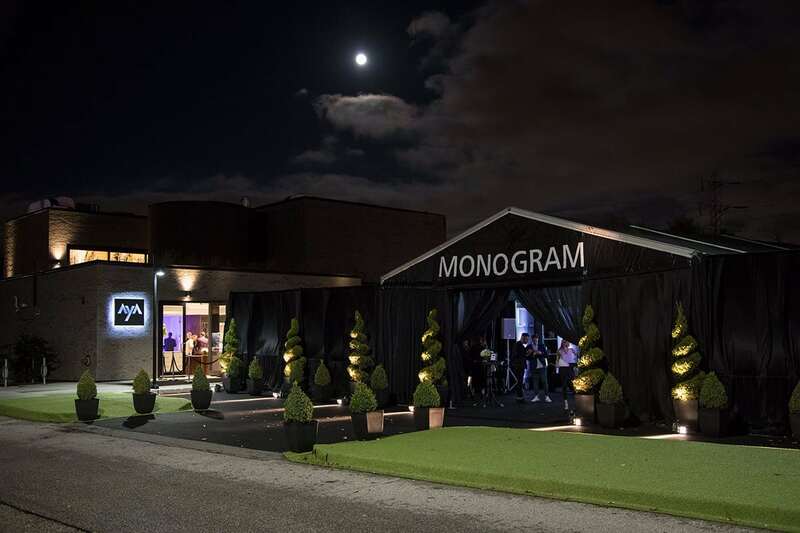 We built a 30′ x 64′ Clearspan tent in the Monogram Design Centre parking lot, complete with black walls, black roofs and a custom logo printed on one of the gable ends. We used concrete blocks to anchor the tent (a great option if you’re looking for a temporary structure in an area that cannot be staked) complete with black block covers to keep the look streamlined. We built a wood subfloor that was then covered in black carpet, and the entire interior of the tent was draped in beautiful black fabric, including leg wraps! The final look was both one-of-a-kind and perfect for a high-end event!